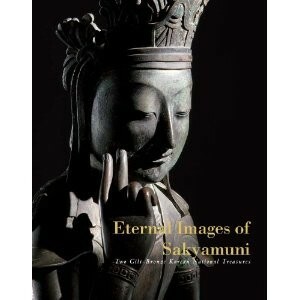 Produktinformationen "Eternal Images of Sakyamuni"
This English-language catalogue features two gilt-bronze pensive images from the Three Kingdoms period (37 B.C.-668 A.D.) of Korea, which are Korea’s National Treasure No. 78 and No. 83. With an abundance of photos and insightful essays, it provides an indepth introduction to these ancient masterpieces of Korean Buddhist art. Weiterführende Links zu "Eternal Images of Sakyamuni"
Unser Kommentar zu "Eternal Images of Sakyamuni"
Kundenbewertungen für "Eternal Images of Sakyamuni"